The review also suggests that despite common perceptions, much of continental Europe also suffers disruption from snow and ice. It cites evidence from northern France in the second week of March where the authorities banned heavy lorries from the roads, effectively stopping Channel crossings for freight vehicles and creating difficulties in Kent. “For hundreds of drivers who were trapped in nightmare conditions it will be hard to believe, but this report concludes that by and large the authorities have significantly upped their games in recent years. “The reality is that the climate is an evolving beast. No longer can we regard periods of severe weather as isolated incidents. They seem to be getting more frequent and more extreme and the impact of one compounds the effects of another. “When we are warm and snug in our modern cars it is tempting to think we are immune from the elements and have the technological resources to deal with whatever nature might throw at us – but the experience is that we do not. We need to consider revising our view of what is ‘normal’. As the climate appears to change we should not confuse extreme weather with rare weather. Ploughing On was commissioned to study the response to the extreme weather that hit much of England and Wales in the last two weeks of January 2013. Brian Smith then carried out further work – which is included in the report as an addendum – in light of the severe conditions that hit parts of the South East around 11 & 12 March. The report does not include analysis of the extreme weather events that were experienced in the run up to Easter. The report took evidence from the Highways Agency, 32 local authorities in England and Wales, Boots, Asda, the RAC breakdown business and 13 motoring clubs across Europe. The report will be on the Foundation website – www.racfoundation.org – from the date of publication. Brian Smith was formerly the director of Environment and Transport at Cambridgeshire County Council. 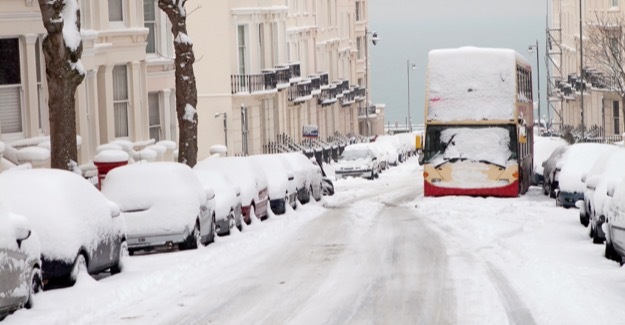 Following retirement he was a member of the panel chaired by David Quarmby – chairman of the RAC Foundation which was commissioned by government to undertake an independent review of winter resilience following the severe winters of 2008/09 and 2009/10.